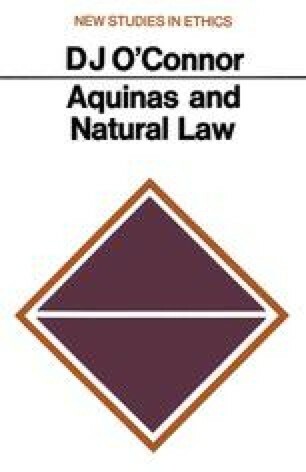 The concept of natural law is basic to the moral philosophy of Aquinas. But it has a very long history. The doctrine has taken many forms in the writings of philosophers and jurists from the Greeks to the present day. Indeed, these various versions of the doctrine differ so much both in their detail and in their philosophical bases that it is very misleading to talk of the theory of natural law. In so far as any common core can be found to the principal versions of the natural law theory, it seems to amount to the statement that the basic principles of morals and legislation are, in some sense or other, objective, accessible to reason and based on human nature. But so vague a specification tells us little until we decide the sense to be put upon these phrases. Many forms of the theory have, in addition, a theological foundation, and this is, in the case of St. Thomas, very important. But here too we have to ask how exactly the natural law is conceived to be related to God.